Home Tips and Tricks Timer Tuesday: Managing Long Duration SLA KPI Instances 1 person is discussing this now. The Service Level Agreement functionality in Dynamics CRM offers many options for managing the initial response and resolution for cases out-of-the-box. One particularly useful option is that you can configure the timer that counts down how long you have to respond and resolve the case with font changes that indicate whether or not you are nearing the deadline or have surpassed it. This is incredibly helpful for users because they can prioritize which cases to work on and when. However, there is one problem that arises when you configure the SLA KPI Instance Failure and Warning times. In today’s blog, we will show you the steps needed to correct this problem. Let’s say you have a business process that necessitates a one business week turn-around time for the initial response, and a two business week turn-around time for cases to be resolved. Out-of-the-box, this would appear as though the functionality would not be manageable. When selecting the duration of the SLA KPI Instance, three days is the longest option that is available in the drop down menu. What may not be so apparent, is while the drop down option set does provide a list of values that can be used, this field is also a free form, so additional values can be entered as well. Simply type them into the field to be able to manage longer durations. After completing your changes to the SLA KPI Instance, make sure you Save, Activate, and set the SLA as the default. From here on out, you can enjoy the benefits of longer durations for your SLAs! That’s all for our blog today! If you would like more information about Service Level Agreements, check out our CRM Book! 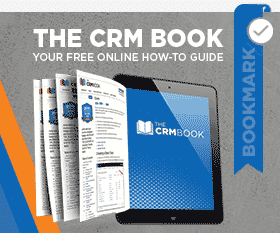 The CRM Book is a comprehensive online guide to working with Microsoft Dynamics CRM. It’s intended to help users of different backgrounds and experience levels understand core concepts, make good choices, and know where to go for more information on a given topic. You can just consider it your ultimate CRM resource! by Joe D365	December 8, 2015 1 person is discussing this now.